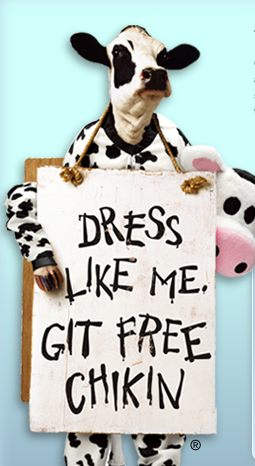 Friday, July 8 is Cow Appreciation Day. What does that mean? Dress up like a cow and get a free Chick-fil-A meal. Note you have to be dressed from head to toe for the free meal. 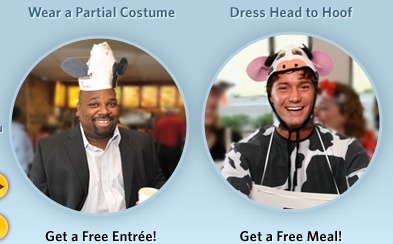 If you only wear a mask or cow t-shirt, you’ll just get a free entree. Come dressed like a cow from head to hoof and we’ll reward you with a FREE meal. (If you’re a little chicken, don’t worry, a partial costume still receives a free entrée.) And calves in costumes get free meals too; so bring in the whole herd for some family fun.